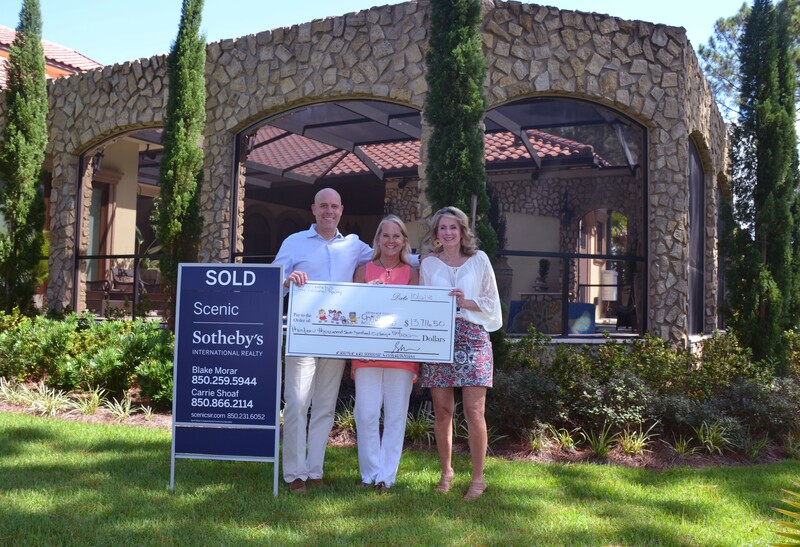 Broker Blake Morar and his associate, Carrie Shoaf, of Scenic Sotheby’s International Realty have been hard at work selling and buying homes for Jim and Tammy Pierce. The Pierce Family Children’s Advocacy Center (PFCAC) in Walton County is named after them. Blake’s team recently sold the Pierces’ home in Sandestin and donated more than $13,000 of that real estate commission to PFCAC. Operating two centers, the 501(c)(3) nonprofit’s mission is to prevent child abuse and neglect, protect children in Okaloosa and Walton Counties and restore the lives and futures of these impacted children. Its child-friendly centers house a multidisciplinary team of child protection personnel, prosecutors, law enforcement, DCF, therapists, ECCAC staff and volunteers. They have provided services at no cost to more than 12,000 children in the past 18 years. For more information, visit www.eccac.org.